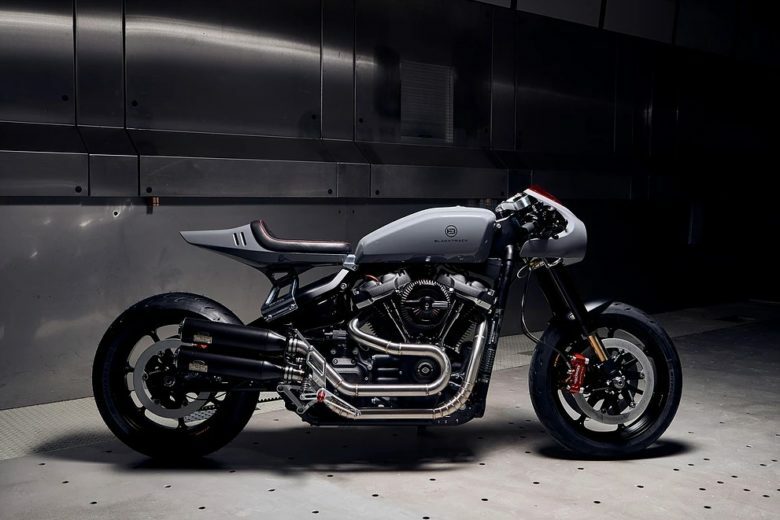 Is this the Cafe Racer styled motorcycle from Harley Davidson we’ve all been waiting for? Most likely. 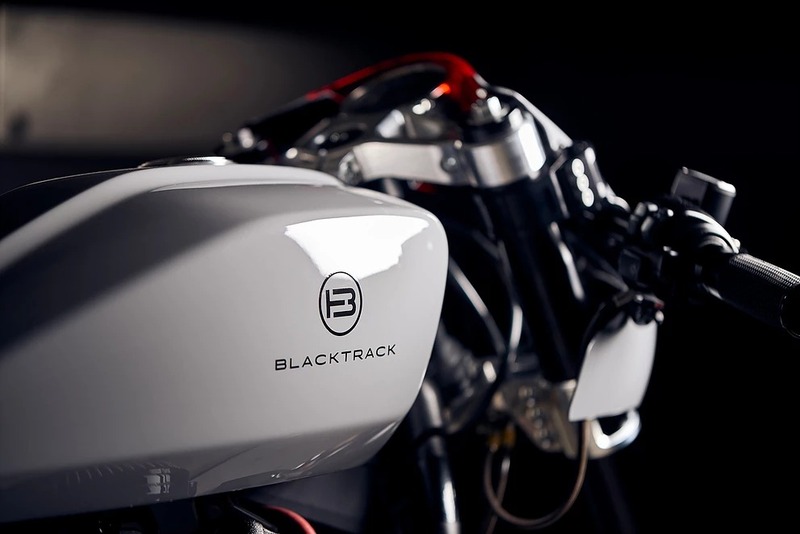 BT-03 is another creation from Blacktrack Motors. 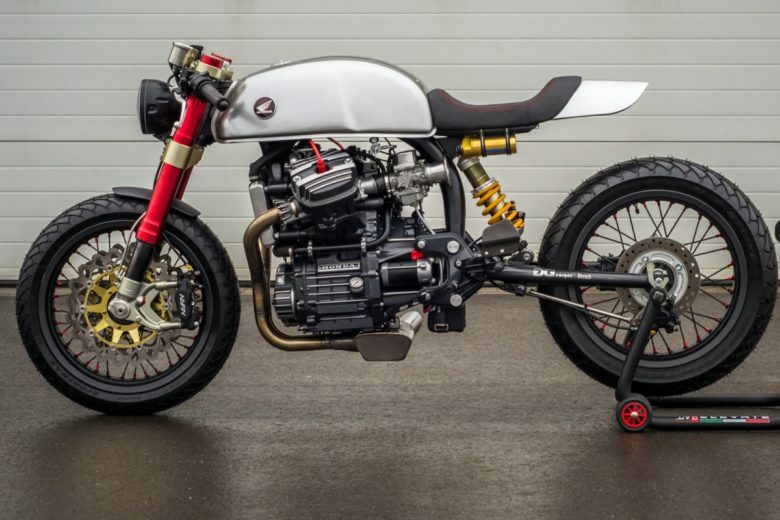 A company that brought a brilliant performance version of Honda CX500 (BT-01). 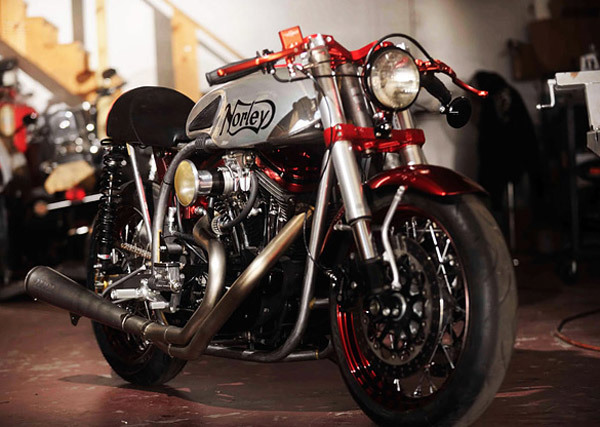 And quite recently featured here – Norton BT-02. 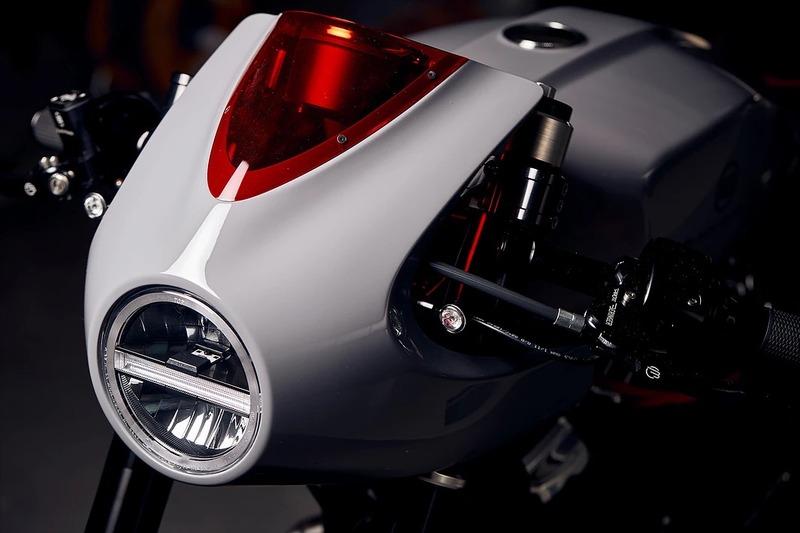 I’m excited to present this thing as this is yet another custom bike focused on performance and handling. Something that is not so often seen when You choose a Milwaukee donor bike. 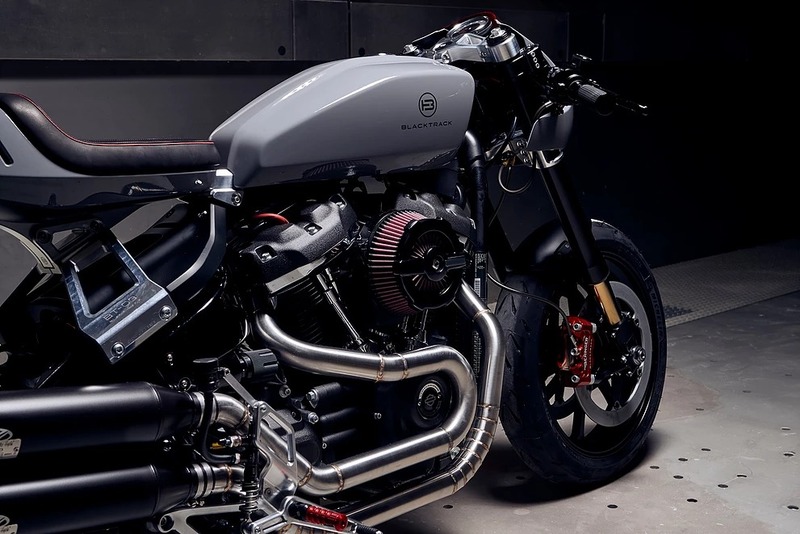 The BT-03 motorcycle is lightweight, focused on handling used quality components, but still… built around a massive powerplant of a Softail Fat Bob 114 (meaning 1868 cc in metric). It produces over 150 Nm of torque when stock. Only the engine, transmission and frame were left. 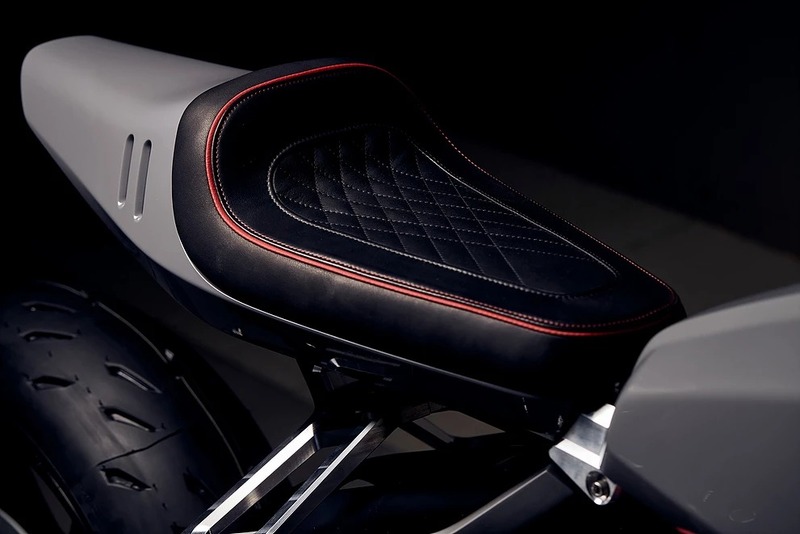 Fat Bob is one of the best handling motorcycles from Harley. The frame geometry, despite quite a long wheelbase – is a perfect choice when thinking about conversion to a street bike. 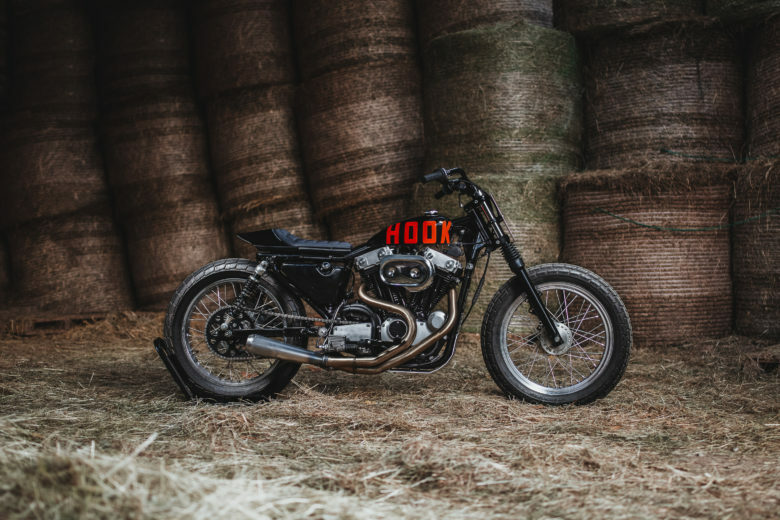 The rest of the motorcycle was replaced… upgraded with custom made accessories. 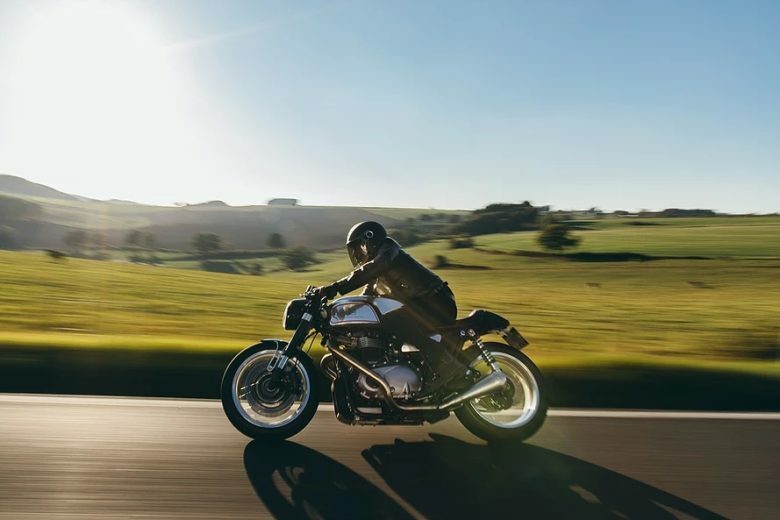 The looks are not only styled to create a backbone of a classic British style, but every element reduces the weight by using aluminium and composites (front fairing, fender, tank, tail and shock side covers. 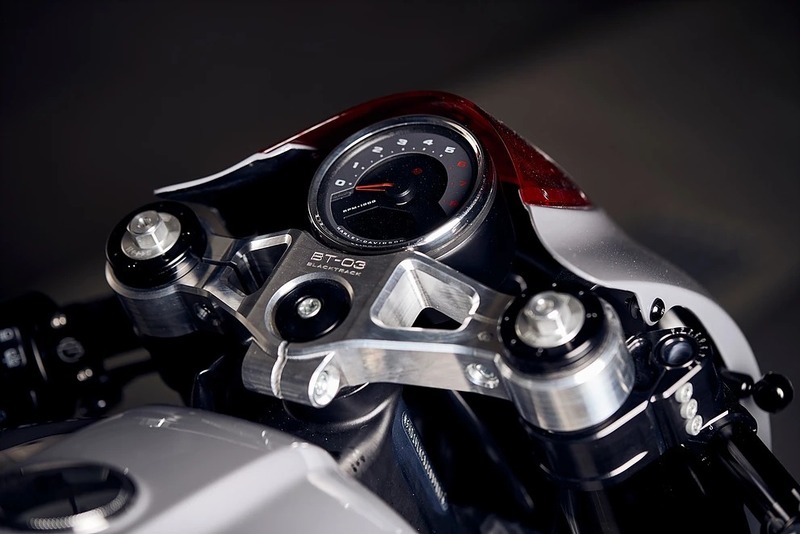 Technically – wheels are made of aluminium, brakes are Beringer and suspension comes from Öhlins. Performance filter and custom made stainless steel exhaust finishes the looks. The bike is now available for special order. Find out more about it on the blacktrackmotors.com website.